Developer Epic Games has released patch notes v8.40 for today’s Fortnite update. The update includes a new game mode, the epic and legendary variants of an interesting weapon named Infantry Rifle and many new exciting changes. The downtime of the Fortnite update has already begun at 2:30pm IST. The famous battle royale did not include any information on the in-game news feed prior to the update, which they usually do. 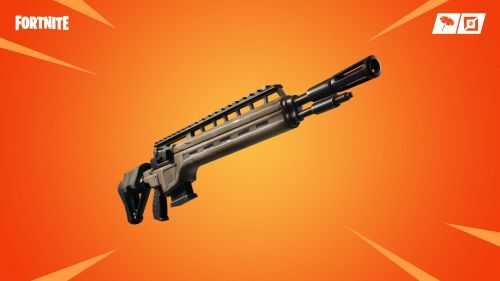 However, this time the developers released the new weapon to the Item Shop last night. The leaks about the weapon were already on the internet thanks to Stormshield one. Now it is time to wait and see how the Fortnite gaming community reacts to the new addition. Although the old variant of the Infantry Rifle was not very famous in the community, the Epic/Legendary variants could be a welcome addition with the new Fortnite update. The Epic variant of the rifle deals 42 damage, whereas the Legendary one deals 44. The new weapon which uses medium ammo, can be searched on the Floor Loot, in Chests, Supply Drops and Vending Machines. 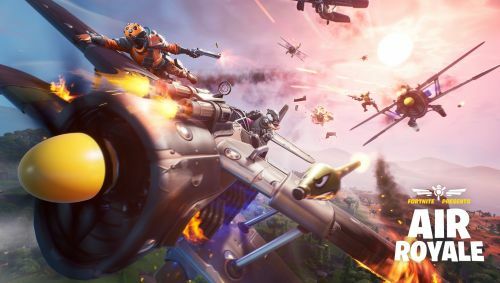 Epic Games have also introduced a new game mode named Air Royale Limited Time Mode. The developers have also re-added the egg-themed Grenade Launcher skin which is a visual change only. They have also added a cute change in the gameplay, letting you pet a dog or any other Pets and they have also increased the XP bonus of a game, when partying with friends. The dates of new Fortnite World Cup Online Open Week 2 has also been announced in the patch notes. The open week will be held on 20 and 21 April and will have a prize pool of $1,000,000. The players who qualify from the Open Week will get a chance to play in the World Cup which will be held in New York City on 26 to 28 July 2019. The patch notes of the Fortnite update also contain various bug fixes and miscellaneous tweaks to improve the overall game experience.